Requires NL, OfB, and Seasons. 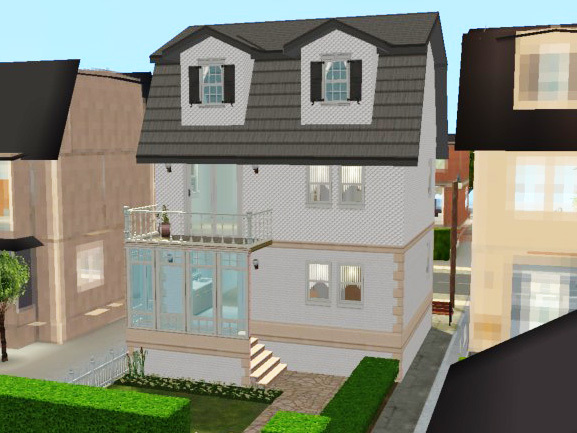 Custom content: frillen's Invisible Driveway is included as a separate file -- put in your Downloads folder before playing this lot. 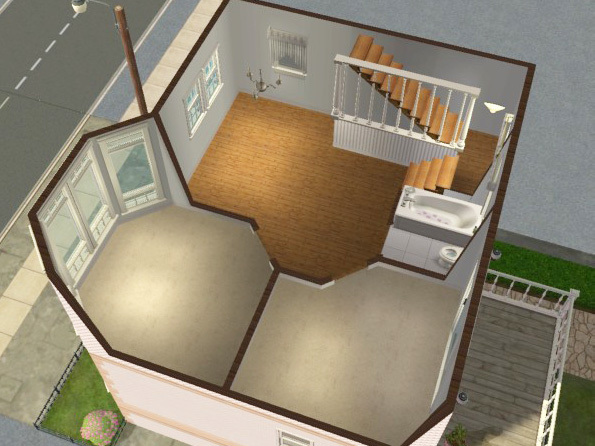 Also, stairs by crocobaura included; see the stairs thread for instructions on how to install them. This lot will work fine if you don't, you only won't be able to use them in other lots since they won't show up in the catalogue (which is what the installation procedure is for). 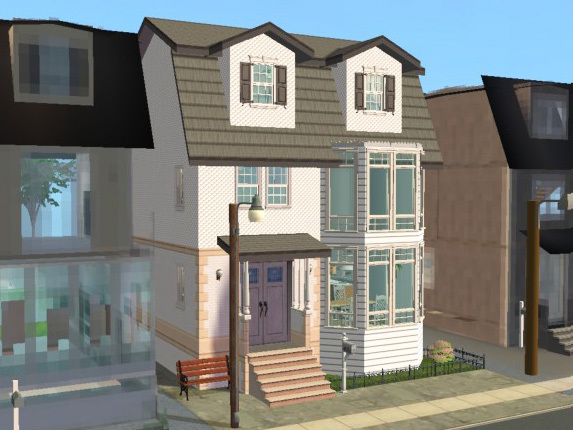 For sims that are sick of living in the suburbs, Backdoor Lane provides an alternative: a couple of small town lots with a more urban look and feel. They fit together like a jigsaw puzzle, creating a maze of backyard gardens and interconnected alleyways when placed in a tightly spaced neigbourhood. 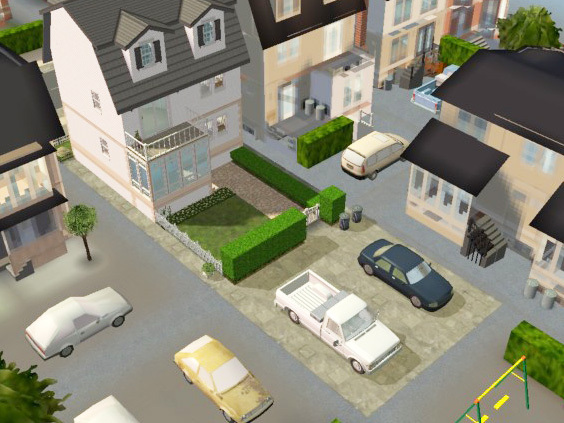 Most of them work as corner lots as well as facing the street, creating a very different impression depending on how you place them and what's on the lot next door. 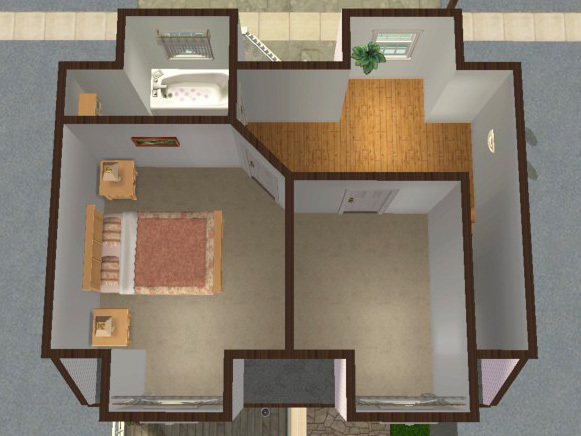 City house with small garden and balcony on a 1x3 lot, furnished for 1-2 sims with three spare (bed)rooms. 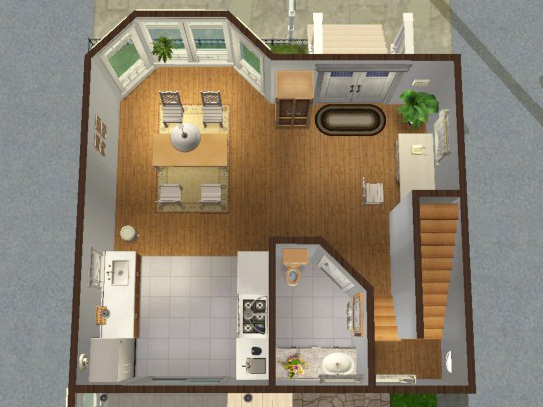 Kitchen/dining, bathroom and a study corner on the ground floor, two unfurnished rooms and living area upstairs, two bedrooms and another bathroom on the top floor. Two driveways in the backyard, cars included. All basics included, with a stove, dresser, and espresso machine on top. 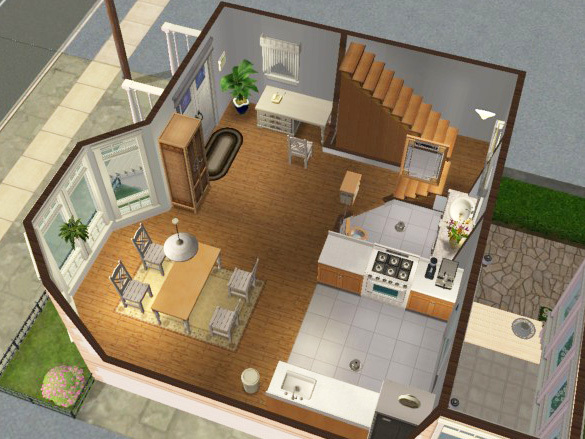 The space to the left and right of the house is blocked on purpose, to avoid sims getting stuck in there (it's only one tile wide, not two, since the lot is shrunk) -- but this is just a precaution, I haven't had any sims actually getting stuck in my own game. 745 people have said thanks to plasticbox for this download.